The schoolgirls spent the weekend in jail and charged on Monday of “insulting the head of state,” according to Human Rights Watch (HRW). They now face the prospect of jail time for defacing pictures on the president in their school textbooks. One 13-year-old girl has been released for being under the age of criminal responsibility but the three girls facing jail sentences are minors – their ages are yet to be confirmed. If found guilty, the girls could be sentenced to up to five years in prison. However, school textbooks are often passed on between classes, making it difficult to know who drew on the president’s picture in the first place. 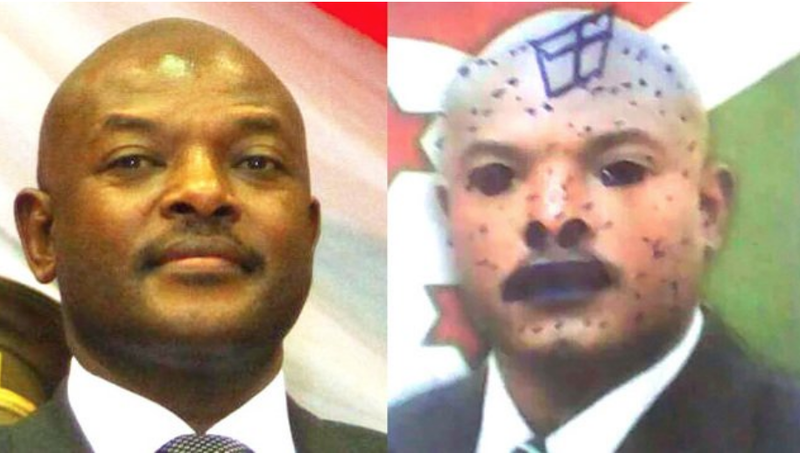 This wouldn’t be the first time school children are imprisoned for drawing on pictures of the president, though. Eight elementary school students were arrested in 2016 on similar offences. Students wrote phrases such as “Get out” and “No to the 3rd term” in reference to Pierre Nkurunziza’s third-term campaign which resulted in widespread clashes across the former capital, Bujumbura, and other parts of the country. The students’ arrests prompted their fellow classmates to protest in the streets. Security forces shot and injured two students during the demonstration and also shot a motorcycle driver who later died.